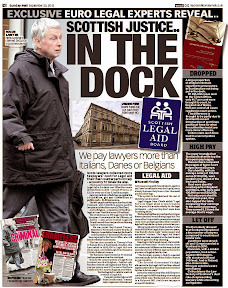 Judges’ use of overseas junkets in the dock. 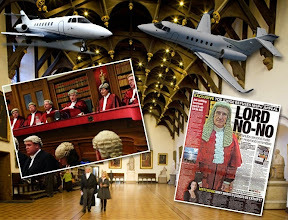 A CLAMPDOWN on judicial jet set junkets announced by Scotland’s top judge last October has failed to curb the ever spiralling jet set habits of the judiciary - it can be revealed. 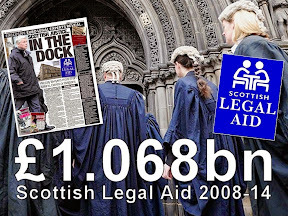 Figures released by the Judicial Office in response to a Freedom of Information request - report the costs of Overseas travel of Scottish judges in 2014-2015 has in fact – increased – from the previous year (2013-2014) – which saw Scots judges take lavish 5 day judicial junkets to international destinations including middle eastern dictatorships. 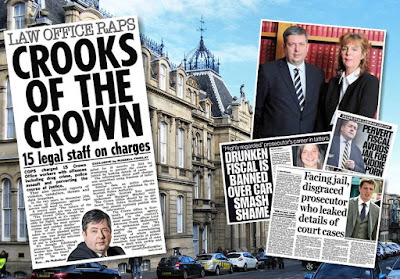 And the frequency of flights & journeys suggest Scotland’s judiciary are still clocking up air miles regardless of spending cuts across other public services - often at brutal expense & little gain to the justice system. The latest list of overseas travel – which the Judicial Office claim is necessary for judges to share their understanding of the law and court processes – also includes a five day junket for three Sheriffs who travelled to Africa. 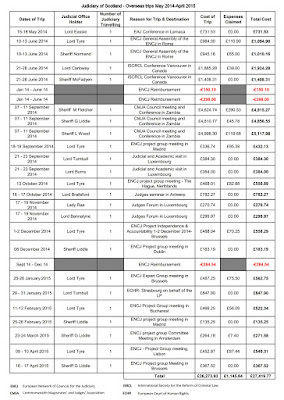 The taxpayer funded £15,000 junket to Zambia - paid for Sheriff Gordon Liddle, Sheriff Lindsay Wood and Sheriff Michael Fletcher to attend a five-day conference hosted by the Commonwealth Magistrates' and Judges' Association. The event was held at a hotel by the Victoria Falls and ended with a sunset cruise on the Zambezi. Speeches at the five day event included "building public confidence through judicial accountability" and "identifying and eliminating corruption in the legal system". 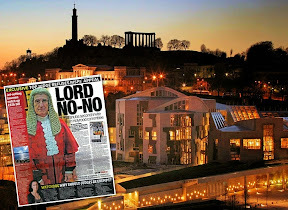 The latest revelations of judges taking taxpayer funded trips to ‘law conferences’ & river tours emerged after last year’s investigation by the Scottish Sun newspaper which revealed Scotland's top judges spent £26,000 on thirty three international trips funded by taxpayers - including journeys to destinations such as Russia, Israel, Switzerland,Germany, France, Bulgaria, Lithuania. 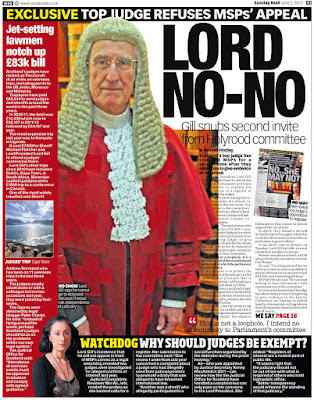 The now retired top judge Lord Gill – who has yet to respond to a third invitation requesting his appearance at the Scottish Parliament’s Public Petitions Committee to answer questions from msps on judges undeclared wealth & interests - also jetted off on a five day state visit to Qatar during 2014. 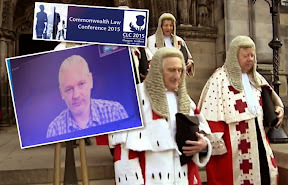 Last April, Gill (73) gave a sixteen page speech on ‘judicial ethics’ in the Gulf Emirate of Qatar – a country which stands accused of multiple breaches of human rights, using slave labour and funding terrorism & war. 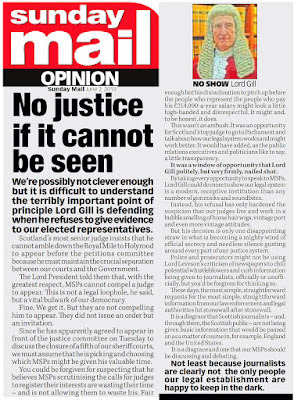 Asked for further details of Lord Gill’s itinerary in Qatar, a spokesperson for the Judiciary of Scotland said no information could be provided. 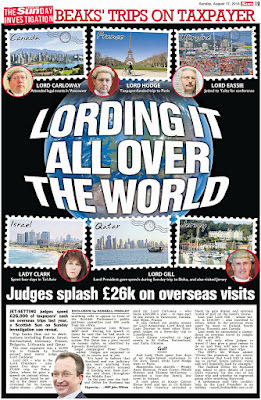 The Judicial Office claimed there were no photographs or video footage of Lord Gill’s trip to Qatar, even though the trip was paid for by the taxpayer. 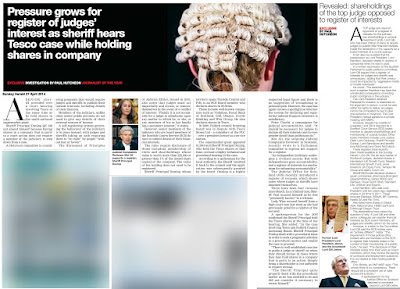 In response to media scrutiny of judicial air junkets and mentions in the Scottish Parliament, top judge Brian Gill announced a crackdown on overseas trips made by judges. 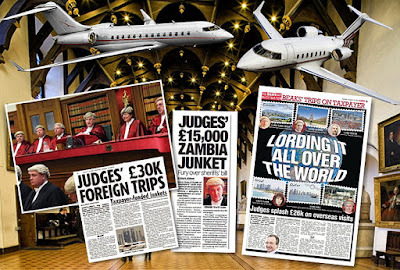 The Lord President issued an edict on judicial jet junkets, setting out new rules stating judges would have to make a written business case for clocking up more air miles via taxpayers cash. 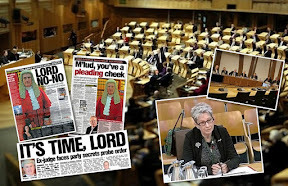 However, as total figures for this year reveal, the cost of flying the highly secretive, wealthy & elderly Scottish judges around the globe at taxpayers expense surpassed last year’s £30K figures – and this is only for trips admitted to by the Judicial Office and the Scottish Courts & Tribunals Service. Listed by: Date, Judicial Office Holder, Reason for Trip & Destination, Cost, Expenses Claimed, Total Cost. More than £15,000 of taxpayers' cash was spent on three sheriffs going on a junket to Africa - despite a clampdown on overseas trips. 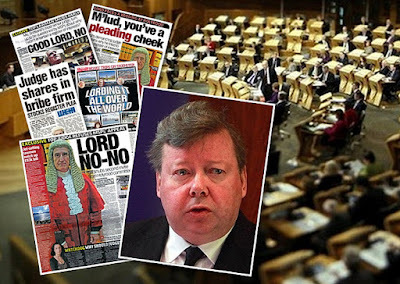 Scotland's judges and sheriffs spent more than £27,000 on overseas trips in 2014-2015. Destinations included Amsterdam, Rome, Madrid, Vancouver and Lisbon. 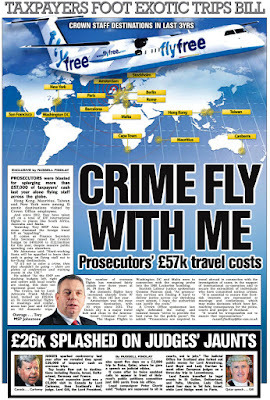 The most expensive trip was £14,890 for sheriffs Gordon Liddle, Lindsay Wood and Michael Fletcher to attend a five-day conference in Zambia hosted by the Commonwealth Magistrates' and Judges' Association. Speeches included "building public confidence through judicial accountability" and "identifying and eliminating corruption in the legal system". The event was held at a hotel by the Victoria Falls and ended with a sunset cruise on the Zambezi. 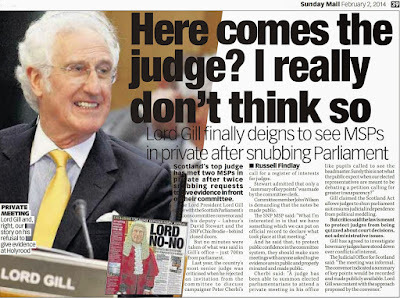 Before retiring this year as Scotland's top judge, Lord gill ordered a clampdown on overseas trips by sheriffs and judges. 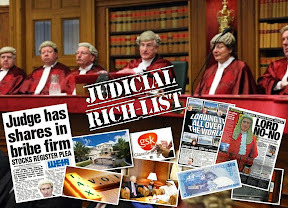 But legal campaigner Peter Cherbi said: "The list of judges on the jet set circuit at taxpayers' expense does not seem to have decreased". 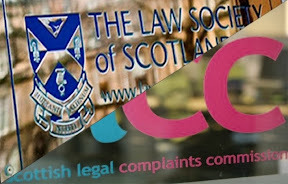 The Judicial Office for Scotland's spokesman said: "Conferences provide judges with opportunities to share knowledge and good practice with practitioners in over jurisdictions. Judges wishing to attend conferences must first apply for funding and make a business case. "We hold a budget for conferences and overseas business travel and guidance exists to ensure that costs are controlled and maximum benefit is gained"
Late last summer, Lord Brian Gill issued a travel advisory in an attempt to clamp down on judges demanding taxpayer cash to fund jet junkets. The edict issued by Gill stated that costs of travel, numbers of judges attending, an explanation of the wider benefit of the trip to the judicial system and details of what may be learned - must feature in documents required to be written up by judges and submitted to the Lord President for approval. 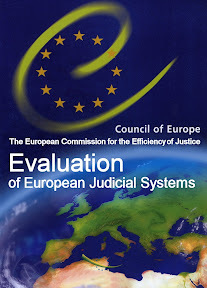 I have been reviewing the arrangements to control expenditure to meet attendance at conferences by the judiciary, especially where the conference is taking place outwith the United Kingdom. I have also been considering the arrangements for the authorisation of all other overseas travel to be paid from public funds. With immediate effect the following arrangements are to apply to future requests. Requests for funding for attendance at conferences and for all other overseas travel should be sought only from the Judicial Office  . 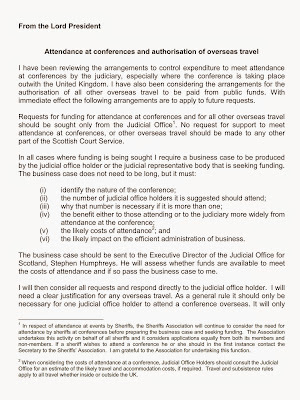 No request for support to meet attendance at conferences, or other overseas travel should be made to any other part of the Scottish Court Service. (vi) the likely impact on the efficient administration of business. 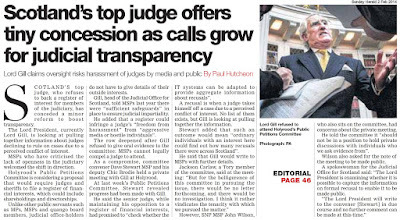 The business case should be sent to the Executive Director of the Judicial Office for Scotland, Stephen Humphreys. He will assess whether funds are available to meet the costs of attendance and if so pass the business case to me. I will then consider all requests and respond directly to the judicial office holder. I will need a clear justification for any overseas travel. As a general rule it should only be necessary for one judicial office holder to attend a conference overseas. It will only be in exceptional cases that I am likely to consider it necessary for more than one person to attend. Where support is provided to attend a conference a report is to be prepared and sent to the Executive Director within one month of the end of the conference. The report will be placed on the Judicial Hub and the Judicial website. It is important that as many of the judiciary as possible are able to benefit from the investment of public money in attending the conference. In respect of attendance at events by Sheriffs, the Sheriffs Association will continue to consider the need for attendance by sheriffs at conferences before preparing the business case and seeking funding. The Association undertakes this activity on behalf of all sheriffs and it considers applications equally from both its members and non-members. If a sheriff wishes to attend a conference he or she should in the first instance contact the Secretary to the Sheriffs' Association. I am grateful to the Association for undertaking this function. When considering the costs of attendance at a conference, Judicial Office Holders should consult the Judicial Office for an estimate of the likely travel and accommodation costs, if required. Travel and subsistence rules apply to all travel whether inside or outside the UK. 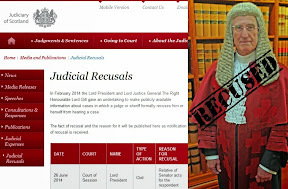 Now, a year on from the Lord President’s travel guidance - the evidence suggests Lord Gill’s move to make judges more prudent with public cash for travel junkets - has clearly failed. 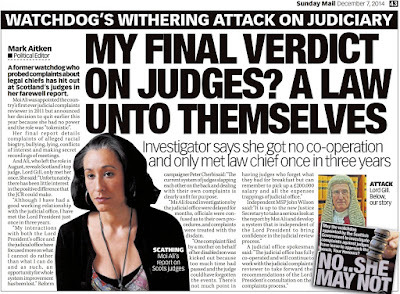 And – suspiciously - the Judicial Office for Scotland and Scottish Court Service refused to reveal any details of hundreds of taxpayer funded trips taken by Scottish judges around the UK. 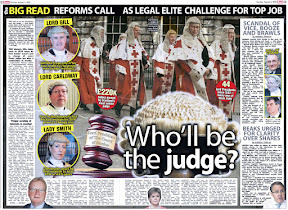 When further enquiries were made regarding domestic UK destinations of Scottish judges, staff at the Scottish Court Service switched destinations of Scotland’s second most powerful judge – Lord Carloway from Bristol in England, to Dublin in the Republic of Ireland – in an attempt to avoid having to disclose the information on UK judicial travel via Freedom of Information legislation. Why all the flights for a bunch of old powerful blokes who are supposed to be getting paid to sit in court? Sounds dodgy to me the whole set up allowing this to go on. Waste of public money and those excuses from the Judicial Office are rubbish.People with serious illnesses fight to get treatment and all that lot can do is whinge about why their sheriffs should be allowed to cruise up a river in Africa at cost to us! Are these trips to learn legal guff or are they bribes in the form of trips handed out to the judges to keep them sweet? So Gill did not take charge of overseas junkets because the figures are higher than last year.At least you managed to burn the pr tosh from JoS. 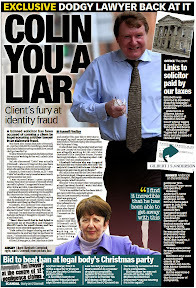 Sheriff Gordon Liddle - the same Sheriff who complained his courts were clogged up and blamed MacAskill for it. 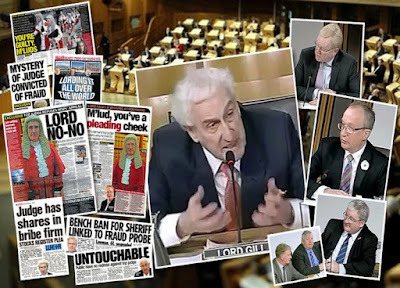 Sheriff Gordon Liddle launched the unprecedented public attack after being told cases were being sent to his already “clogged up” Edinburgh Sheriff Court from other areas. Earlier this year, the closure of 17 courts was announced by the Scottish Government as part of a cost-cutting exercise. 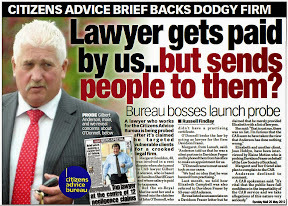 Sheriff Liddle – secretary of The Sheriffs’ Association – said his court was “bursting at the seams as it is”. 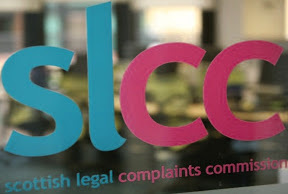 Leading solicitors have warned that courts are now under “considerable pressure” after the closures, aimed at saving £3million up front and a further £1m a year. 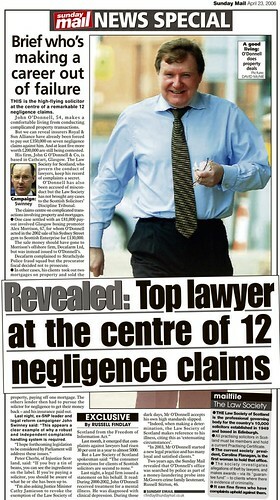 Mr MacAskill gave the go-ahead for the move despite warnings that it could cause delays to justice. 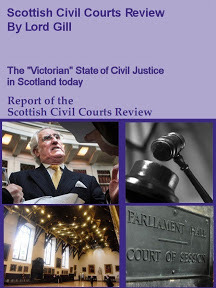 Ten sheriff courts and seven Justice of the Peace courts have been closed or are due to close since the policy was approved by the Scottish Parliament in May. 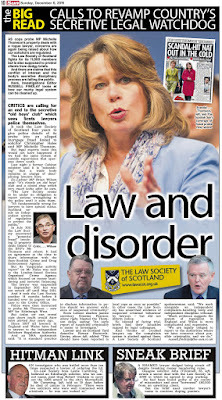 Scottish Conservative justice spokeswoman Margaret Mitchell MSP said: “When a respected sheriff makes such scathing remarks about the state of our justice system, they must not be ignored. 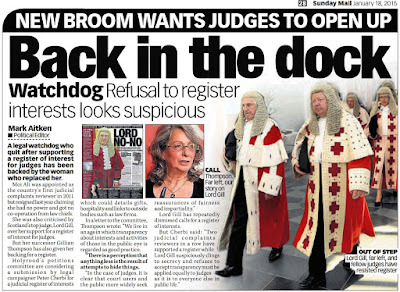 They confirm what we already know – courts across Scotland are at breaking point. 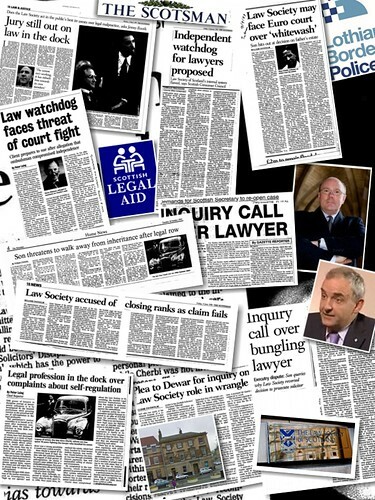 The latest attack comes after repeated warnings from the legal profession and the Law Society of Scotland. 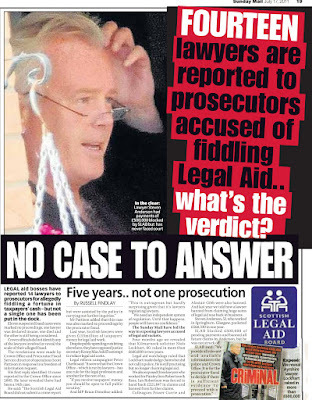 It emerged in May that people accused in Lanarkshire were waiting up to nine months for their cases to be heard, despite a Scottish Government target of six months. 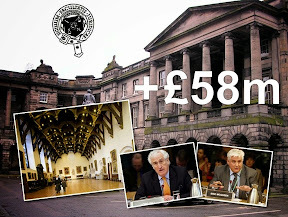 Sheriff Liddle appeared to reach the end of his tether on Tuesday in Edinburgh Sheriff Court, the second busiest in Scotland. The sheriff was presented with at least three criminal cases from West Lothian which would normally be heard in Livingston Sheriff Court. The prosecutor in court said he understood the sheriff’s concerns, but suggested that the matter would best be discussed in private. 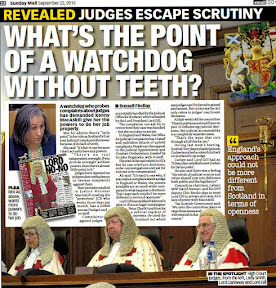 A spokeswoman from the Scottish Courts Service, the body which administers the courts, said: “The Scottish Court Service provides sufficient time for sheriff and jury business. Sheriff Liddle – who was a drummer in 1970s rock band Bilbo Baggins – said via his clerk he would consider commenting further only if contacted by letter. 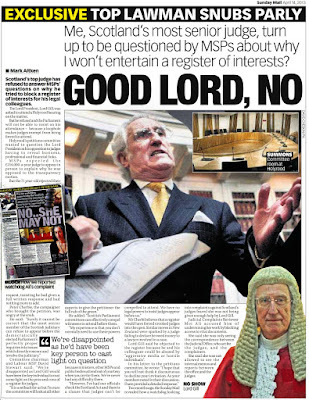 Here is a good one for your register of judges interests - Clearly Sheriff Lindsay Wood should be declaring these speaking events in a register for everyone to see instead of judges hiding behind Lord Gill and threats against the parliament. Our MC for the evening is Sheriff Lindsay Wood who will entertain guests with a wealth of fascinating legal anecdotes. He has spoken at functions for many top companies, leading football clubs, sporting organisations and various societies. Appointed to the bench in Glasgow in 2003, Sheriff Wood now deals with the wide and varied challenges of Europe's largest Court including the specialist Drug Court. This prestigious event normally attracts around 250 of Fifes business leaders and their guests. 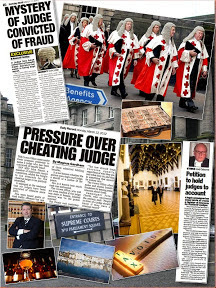 "identifying and eliminating corruption in the legal system"
Scottish judges are expert at that no doubt about it. Sheriff Michael Fletcher the same sheriff who jailed people for turning up late at court. 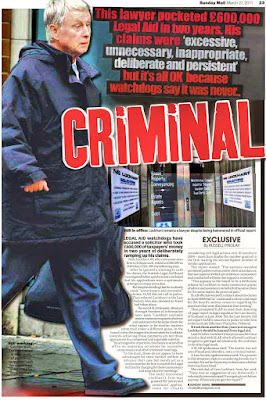 I bet he wasnt late for his £4,915.27 trip to Zambia paid out of public funds! A SHERIFF yesterday launched a personal crusade against time-wasting in court by jailing everyone who turned up late. Sheriff Michael Fletcher started his radical policy by sending mother-of-two Lisa Millar down to the court cells from Perth Sheriff Court. He made his outspoken attack during a routine calling of the court, saying he had become fed-up with the growing number of accused people who were failing to arrive in time for the regular 10am start. Sheriff Fletcher made it clear he would no longer be giving a second chance to anyone who failed to appear when called. In recent months at the court, it has become practice to give any missing accused another chance to show up later in the morning. But Sheriff Fletcher said his patience had run out after the accused failed to appear in three consecutive cases. Millar, who had never been jailed before, was the first to bear the brunt of the sheriff's wrath. She had been around 45 minutes late at court because she had been dropping off her two young children and missed a train. When she did appear to be sentenced on a minor drugs charge, she was told the sheriff did not want to deal with her. Instead he sent her to the court cells and warned her that she would stay there until the afternoon. 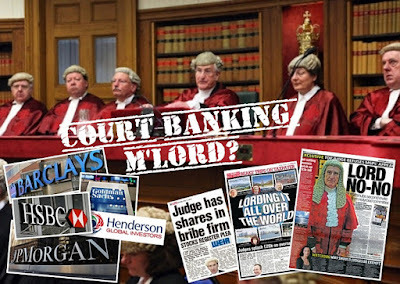 He said: ''That is three out of three people who have failed to turn up to be dealt with by the court. 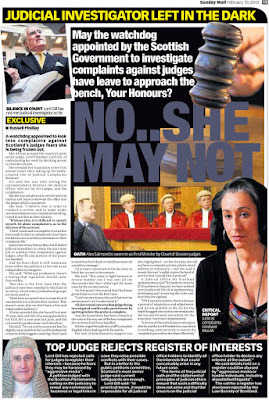 Sheriff Fletcher, who recently joined the bench at Perth, told Millar she would be remanded for more than three hours. He then warned anyone else arriving late that they could expect even stiffer treatment - and be locked up overnight. ''It is likely that in future the court will not deal with the case on the day if you turn up late. ''A warrant will simply be put in place and the case will be dealt with the next day from custody,'' he said. 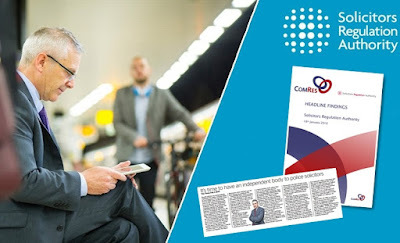 Colin Tyre gets around a lot.Seven flights all around Europe in a year.Not what you expect judges to be doing now is it.You are right to publish all this thank god someone is paying attention! Sorry to swerve slightly off topic but I see those crooked bastards McClure Naismith have went into administration. 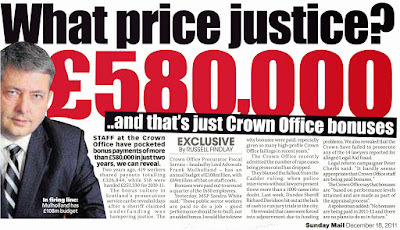 Now that's well worth a freedom of information request to see what it costs to rap that money pit up. Who knows the A.I.B. may even ignore your request. sounds fishy a lot of conferences about law and they end up on a river you couldnt make it up! 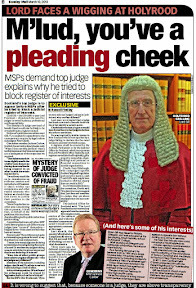 SCOTLAND'S top judge has ordered an immediate clampdown on judges, sheriffs and justices of the peace attending overseas conferences after a Sunday Herald story about JPs and a controversial £3000 "junket" to Africa. 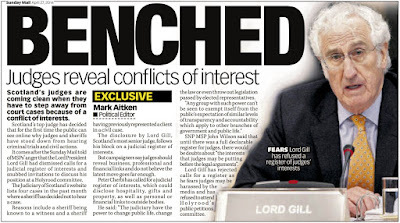 Lord Gill, the Lord President and head of the country's judiciary, will exercise a personal veto over any publicly funded conference without a clear justification. 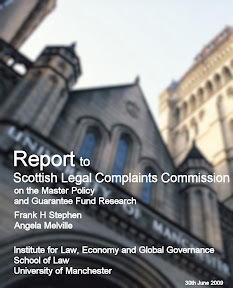 In future, all overseas trips funded by the Judicial Office for Scotland must be supported by a business case, and those attending must write a report on the event within a month for publication in an online legal library. 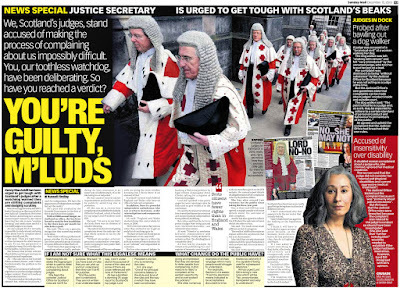 Gill's intervention comes just three weeks after the Sunday Herald revealed a rift at the top of the Scottish Justices Association (SJA) over its secretary's attendance at a five-day conference by Zambia's Victoria Falls. The whole of the last day at the Commonwealth Magistrates' and Judges' Association event has been set aside for sightseeing, including a "sunset cruise on the Zambezi River". Group Captain Keith Parkes, a former RAF pilot who sits at Perth Sheriff and JP Court, and who proposed the key vote on the trip, is due to fly out to Livingstone in Zambia next month. The decision prompted a backlash from some JPs on the association's executive, who denounced it as a "junket" and a "gross misuse of public funds", with three JPs threatening to quit. 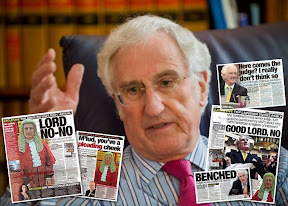 In an edict issued last week, Lord Gill said he had been "reviewing the arrangements to control expenditure to meet attendance by the judiciary, especially where the conference is taking place outwith the United Kingdom". 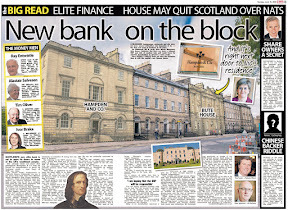 I see the Scotsman reports today that the bankruptcy firm of solicitors McClure Naismith have gone belly up themselves - too much high living on expenses perhaps? Why is this not declared in a register and what are they hiding? 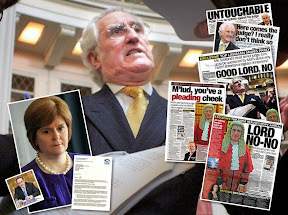 You say this is the travel list "for trips admitted to by the Judicial Office and the Scottish Courts & Tribunals Service"
Where is Gill on the list? Seems odd he didnt fly since last year..
Good to see the papers taking an interest as always and high time your register for judges was made law! As you say there is more to it than meets the eye,the trips are not just about going to a conference inevitably there will be some business discussed and palms greased. It is what we are all thinking anyway so good to have it all out. One of the sheriffs had a go at you because you publshed the info on their trips.His said at an open meeting the travel should be secret and he told his audience of sheriffs court staff and jps that no one better suggest otherwise just because this is part of the court budget.He went on to say he would jail anyone who raised this in his court. Whatever people may say about your petition the fact is all this publicity has had a tangible effect on cases coming out of court and the way judges are now reported.It is easy to see they do not like this kind of scrutiny.You are definitely having an effect. Thanks, yes a good entry for a register of judicial interests. Their administration was self inflicted .. clients who enquired of their expertise were told to go to a London firm and not risk large fees, dodgy deals & inevitable payoffs to others in the profession.Result:Happy clients, 1/3 less cost & biz remained in the UK. Perhaps, although nothing is straightforward in the world of justice, judiciary & politics. 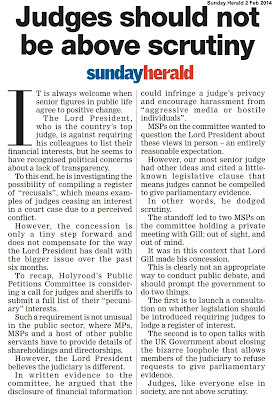 Take for instance, unminuted meetings between the executive & 'representatives' of the judiciary on controversial legislation ... decisions made on projected outcomes, discussions on "how to handle the media", no records kept, and even when notes surface they are a complete fiction, msps kept in the dark and if a challenge surfaces in court, quickly thrown out with the usual complex arguments and some occasional flattery from a £200K a year plus tips & pension judge. "The trips along with all other judicial expenses and junkets are paid for out of public funds. 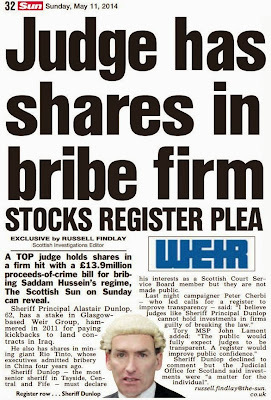 If a Sheriff feels he has to jail anyone for questioning his expenses he should be named and shamed. Chances are if he is so afraid of transparency on junkets, he has much more to hide ..."